Buchhave and his associates acquired an altered method. They measured the quantity of elements denser than hydrogen and helium, which astrophysicists mutually call metals, in stars with exoplanet contenders. Since a star and its planets form from the same disk of material, the metallicity of a star mirrors the configuration of the protoplanetary disk. The team acquired follow-up spectra of more than 400 stars hosting over 600 exoplanets. Then, they directed a statistical test to see if the sizes of the planets deck into natural groups, alongside with the stellar metallicities. They found two strong separating lines, one at a size 1.7 times as large as Earth and the additional at a size 3.9 times larger than Earth. They conclude that these limits also mark variations in configuration. 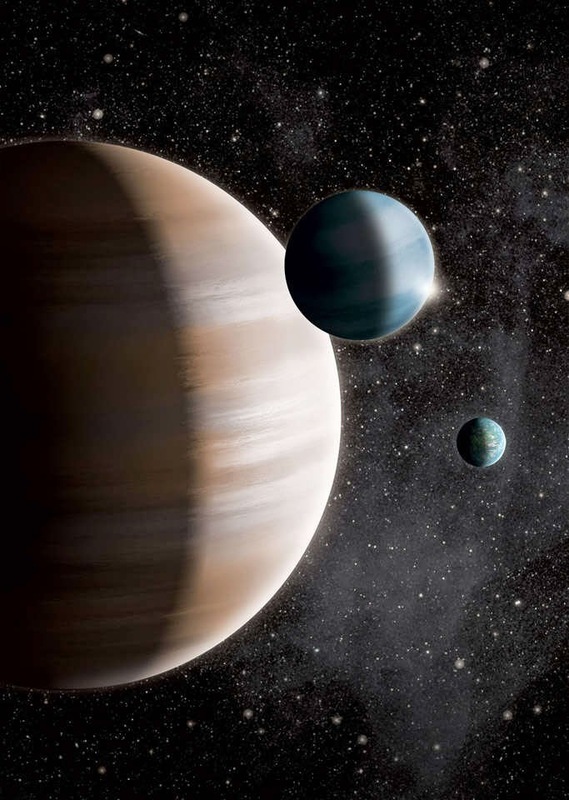 Planets smaller than 1.7 Earths are probable to be totally rocky, while those bigger than 3.9 Earths are possibly gas giants. Planets between 1.7 and 3.9 times the size of Earth were called gas dwarfs since they have dense atmospheres of hydrogen and helium. The rocky cores of gas dwarfs shaped early enough to accrete some gas, while they did not develop as big as gas giants like Jupiter. Furthermore, Buchhave and his coworkers detected that the size of the biggest rocky world isn't static. The farther a planet is from its star, the greater it can grow before collecting a thick atmosphere and turning into a gas dwarf. This proposes that some super-Earths can develop into true monsters.